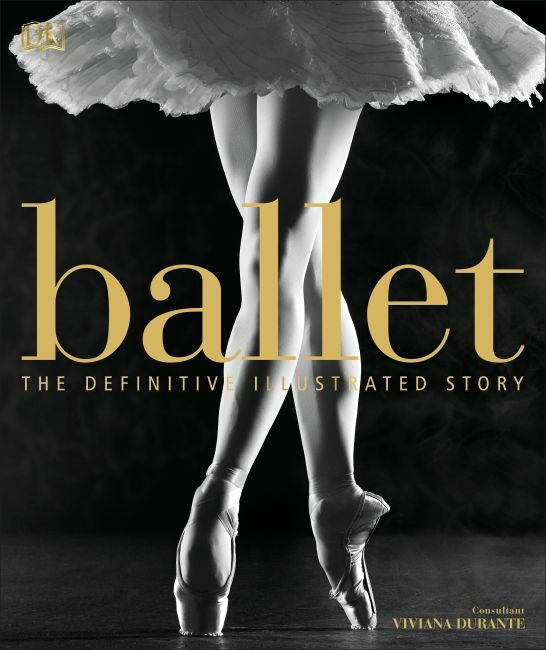 "A heavy kaleidoscopic tome, a beautifully produced coffee table book [...] Ballet: The Definitive Illustrated Story is a welcome addition to any balletomane's library." "If you are looking for a present for a ballet lover, it is an excellent buy, lots of lovely photographs, accessible language and published at a very reasonable price. Dancelovers could happily curl up and browse this well-presented book that offers such aneclectic choice of material." Discover more than 70 of the most famous ballet dances, from The Nutcracker and Swan Lake to The Rite of Spring. Learn the stories behind renowned companies such as The Royal Ballet and the Bolshoi Ballet. Explore the lives and achievements of dancers across the centuries, such as Margot Fonteyn, Carlos Acosta, and Darcey Bussell. Meet composers and choreographers, from Pyotr Ilyich Tchaikovsky to Matthew Bourne. From its origins at court and the first national ballet companies, to the contemporary scene and extraordinary venues that stage the productions, this book covers an impressive history of ballet and provides an invaluable overview of the subject. Filled with rarely seen photographs covering all the key figures, pieces, and performances, and compelling facts about each dance--the sources they draw from, their production history, and their reception over time--Ballet: The Definitive Illustrated Story is an essential gift for all ballet enthusiasts.